Rome, Italy — The Italian election appears to be heading to a chaotic outcome, as the Italian lower house is almost a 3-way horse race between the left (PD), the right (PDL) and the rebellious 5-Star movement (lead by Beppe Grillo). Should you be surprised by this turn of events? 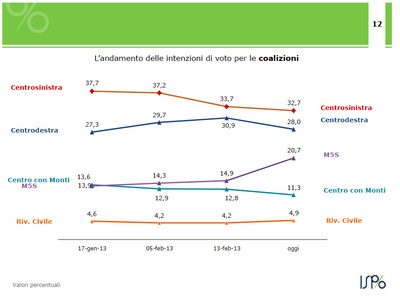 A few days ago we told you that we had seen the “scariest chart in Europe.” It was a chart conducted by a private polling company, showing a major surge for Beppe Grillo in the final days of the campaign. In the two weeks ahead of the vote it’s illegal to publish polls, so we couldn’t actually bring you the real chart, but rather noted that it resembled a Google Trends search for the name “Grillo,” which was surging by the day. Anyway, now that voting is over, we can show you the chart. 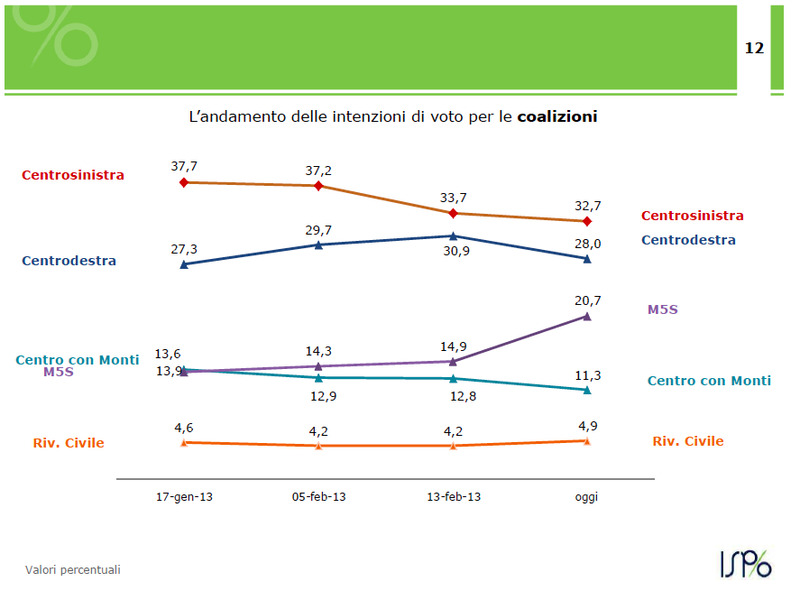 Check out the incredible surge for the 5-Star Movement just over the last several days (purple line). It appears the momentum continued to today.